Select from our array of 1 megapixel - 5 megapixel network IP / Megapixel bullet cameras to complete your network surveillance system. Wireless, infrared and outdoor models available. 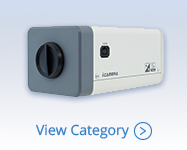 Choose one of our 5 Megapixel C-Mount cameras for areas such as court rooms, holding areas, warehouses or hospitals for IP surveillance of the highest quality. Select from our array of economy 1 megapixel - 3 megapixel network IP dome cameras to complete your network surveillance system. 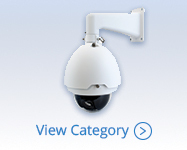 Choose from wireless, vandalproof, indoor, outdoor and infrared dome models. Choose a network camera with infrared / night vision attributes for outdoor locations or areas that will not be lit 24/7, such as warehouses, garages, etc. Provide clear and high quality surveillance outside homes and businesses and in high traffic areas such as parking lots or garages using IP / Network exterior cameras with up to 5MP resolution. Pair with NVR or Tribrid DVR. 1 megapixel wireless network cameras for use with an NVR. Pair with wireless accessories such as the DAP-24. 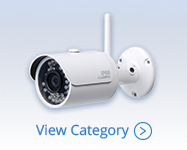 Network Cameras on Clearance. 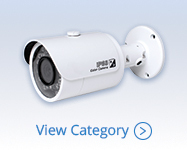 Get deeply discounted IP / Network cameras from DSC from open box / returns (incompatibility) or discontinued items. IP / Network PTZ cameras are highly valued in retail locations (grocery chains and department stores) and in educational settings (primary schools and colleges). Hardy pan/tilt/zoom cameras are for indoor or outdoor use.